For the fifth straight year, Spencer Savings Bank, a community checking and savings bank headquartered in Elmwood Park, N.J., led a mock job fair with Eva’s Village, a Paterson, N.J.-based non-profit anti-poverty group. Six Spencer employees visited Eva’s Village on Jan. 12, 2017 to support the Eva’s Village Workforce Development Program, designed to empower, mentor and prepare Eva’s Village clients with the knowledge and tools necessary to successfully find a job. 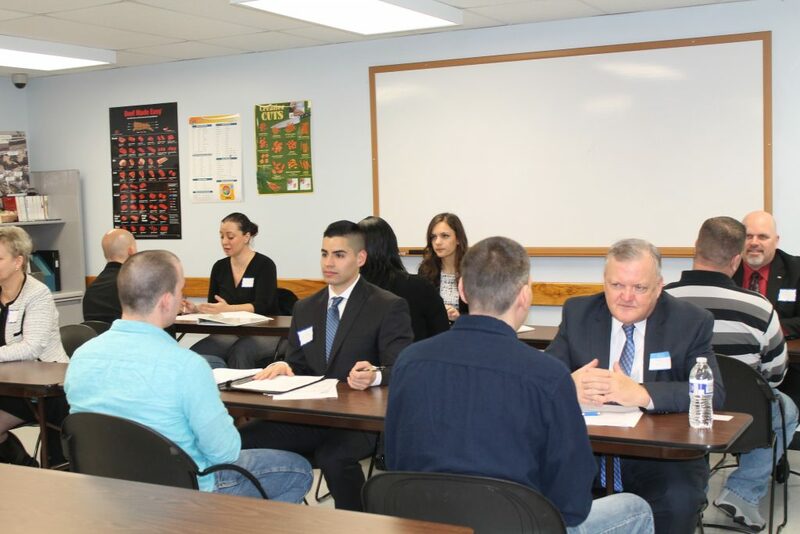 The Spencer volunteers provided helpful tips and feedback to those seeking to re-enter the workforce after a time of personal struggle, from writing a cover letter and resume to completing an application, preparing for an interview and following up. Spencer Savings Bank is a longtime supporter of several Eva’s Village programs. In November 2016, the bank once again participated in the Fund-A-Meal Program, sending seven employees to serve and clean up after a hot meal in Eva’s Community Kitchen, and donating $2,000 to underwrite that day’s meal for nearly 400 guests. Spencer Savings’ ongoing support of Eva’s Village helps to fund the widespread efforts of the organization in the Paterson community.